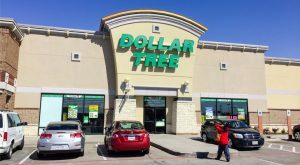 Dollar Tree, Inc. (NASDAQ:DLTR) stock was falling on Thursday after releasing a disappointing earnings report for the first quarter of 2018. Dollar Tree, Inc. reported earnings per share of $1.19 for the first quarter of the year. This up from its earnings per share of 98 cents from the same time last year. Despite this increase, the company’s earnings per share for the quarter was bad news for DLTR stock by missing Wall Street’s estimate of $1.23. During the first quarter of 2018, Dollar Tree, Inc. reported net income of $160.50 million. The discount retail company’s net income for the first quarter of the previous year came in at $200.50 million. Dollar Tree, Inc.’s earnings report for the first quarter of the year also includes operating income of $437.60 million. This is an increase over the company’s operating income of $388.80 million that was reported in the same period of the year prior. Dollar Tree, Inc. also reported revenue of $5.55 billion for the first quarter of 2018. This is better than its revenue of $5.29 billion that was reported in the first quarter of 2017. However, it wasn’t good news for DLTR stock by coming in below analyst’ revenue estimate of $5.57 billion for the period. Dollar Tree, Inc.’s most recent earnings report also includes an update to its guidance for the full year of 2018. The company says it is now expecting earnings per share for the year to range from $4.80 and $5.10. It was previously estimating earnings per share between $5.25 to $5.60 for 2018. Either way, the company wasn’t looking to reach Wall Street’s earnings per share estimate of $5.66 for the period. Dollar Tree, Inc. also updated its revenue outlook for the full year of 2018. The company says it is expecting revenue to come in between $22.73 billion and $23.05 billion. The previous guidance was for revenue ranging from $22.70 billion to $23.12 billion. Analysts are looking for revenue of $23.02 billion for the year. DLTR stock was down 11% as of noon Thursday. Article printed from InvestorPlace Media, https://investorplace.com/2018/05/dollar-tree-stock-drops-on-q1-earnings-report/.